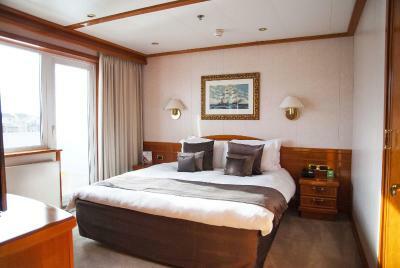 Lock in a great price for Sunborn London Yacht Hotel – rated 8.7 by recent guests! Attentive staff, easy early check in , nice bar for late night drinks. Excellent breakfast buffet very good freshly laid out selection of food. HIGHLY HIGHLY RECOMMENDED!!!! It was a real pleasure to stay here, It's worth the money!!! 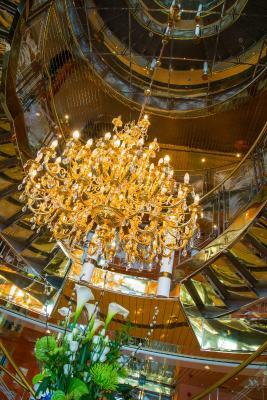 The staff was extremely friendly and kind!! They upgraded me to a much nicer view!!!! I was in a lot hotels, but this one, was too great!!!!! THANKS A MILLION, TO THE WHOLE STAFF!!! What a beautiful room and oh my gosh that view !!! We booked this hotel after seeing the photographs in the booking website and thought it was a bit unique. We are always looking for little thrills in life and this filled the bill. I love the fact that it’s a yacht, I love its on the water. It was a different kind of hotel. 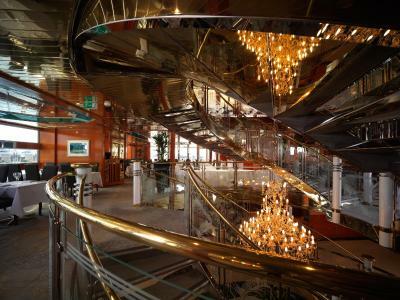 Staying in a yacht was nice and different from the traditional hotels. The staff was great, we only ate breakfast and dinner there only one time. But it was all good!! 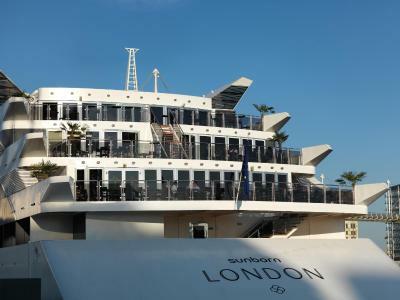 Sunborn London Yacht Hotel This rating is a reflection of how the property compares to the industry standard when it comes to price, facilities and services available. It's based on a self-evaluation by the property. Use this rating to help choose your stay! 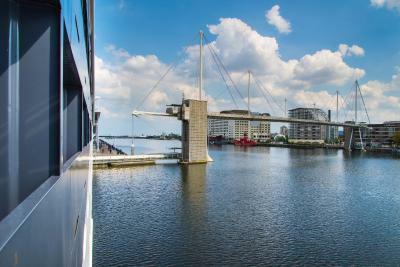 Located less than a minute's walk from ExCeL London, the Sunborn London is a floating super-yacht hotel docked in Royal Victoria Dock, boasting free WiFi access, a bar and a restaurant. 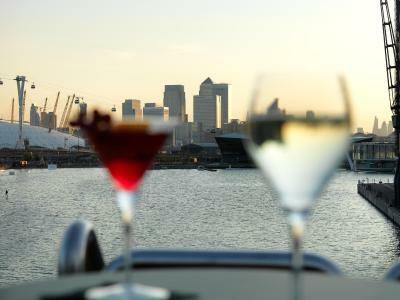 The hotel is 7 minutes' drive from London City Airport and a 6-minute drive from the iconic Canary Wharf. 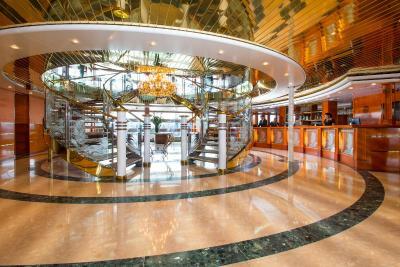 At Sunborn London there is a 24-hour front desk and a sun deck. Other facilities offered at the property include a ticket service, a tour desk. The Symphony Spa offers guests the option to treat themselves to a therapeutic experience including massage and body treatmemts. 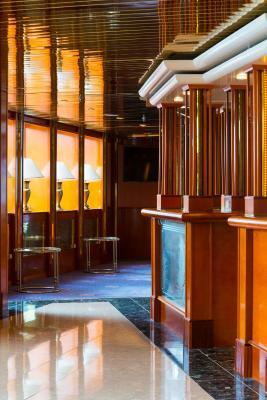 The lounge bar serves a selection of beers, wines, ciders and spirits. 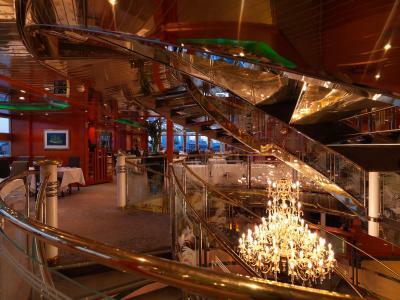 In the restaurant, a buffet breakfast with continental and cooked items is served each morning. An à la carte menu is available in the evenings. 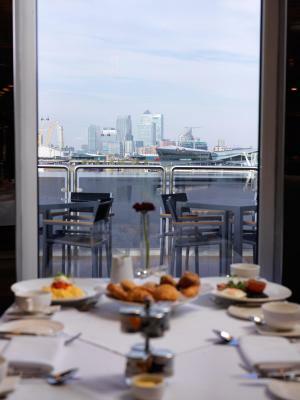 Custom House Docklands Light Railway Station is 5 minutes' walk away. 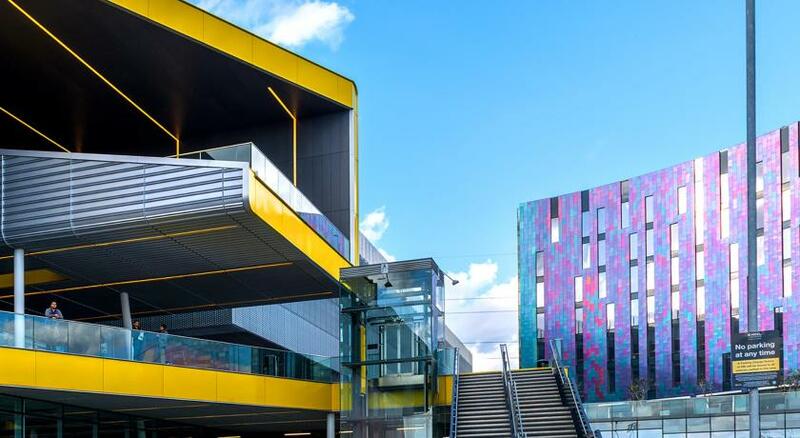 It offers direct routes to Westfield Stratford City and Queen Elizabeth Olympic Park. 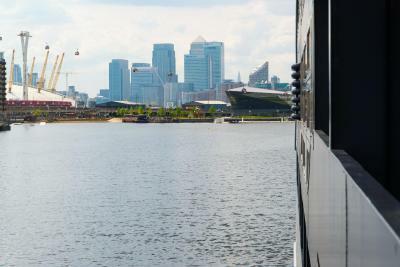 Emirates Royal Docks Skyline is a 5-minute journey on foot. 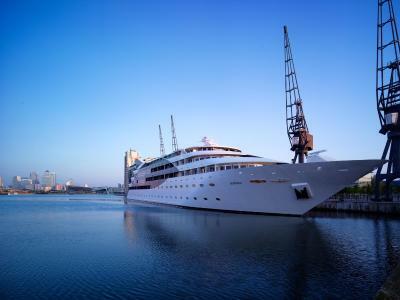 It offers a direct route to The O2 Arena. 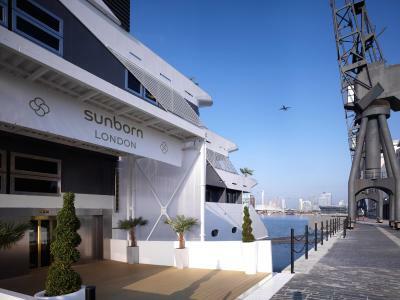 When would you like to stay at Sunborn London Yacht Hotel? This family room features a kingsized bed and sofa bed which can be used to sleep up to 2 children. It also includes a TV with Freeview channels, air conditioning and a Lavazza coffee machine. 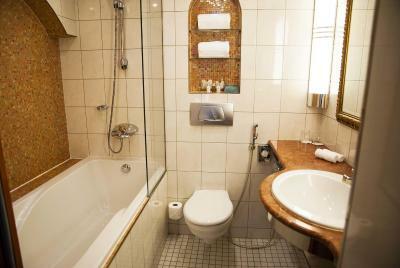 The en suite shower room has a hairdryer and Molton Brown toiletries. This family room, with a king -size bed has a TV with Freeview channels, air conditioning, a Lavazza machine and a private balcony. 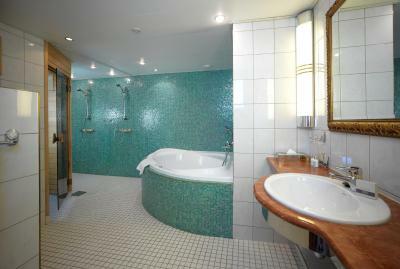 The en suite shower room has a hairdryer and Molton Brown toiletries. There is also a sofa which can be used as a sofa bed for up to 2 children. 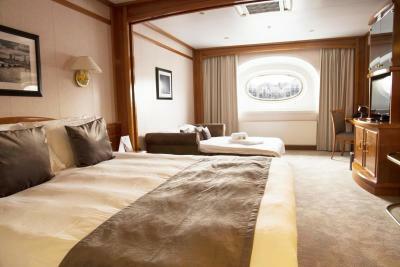 This king room features a king size bed with view over the river. It also includes a TV with Freeview channels, air conditioning and a Lavazza coffee machine. 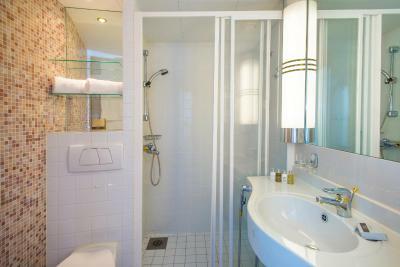 The en suite shower room has a hairdryer and Molton Brown toiletries. 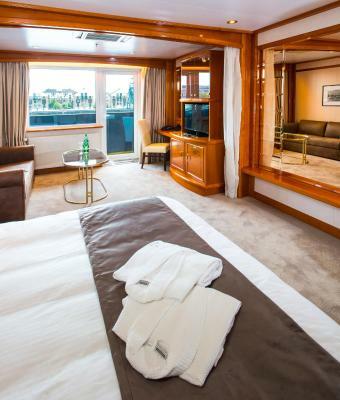 This executive room features a king bed with a balcony and river views. 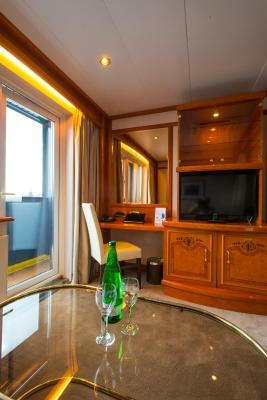 It also includes a TV with Freeview channels, air conditioning and a Lavazza coffee machine. Extras with this room type include bathrobes, slipper and two complimentary still and sparkling water. 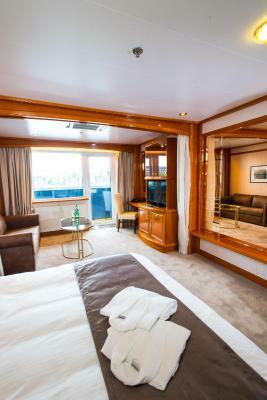 This suite features a king size bed with sofa bed and a room control system with one-touch operations. It also includes a TV with Freeview channels, air conditioning and a Lavazza coffee machine. The private bathroom has a hairdryer and Molton Brown toiletries. Extras with booking this room includes a complimentary mini-bar, complimentary still and sparkling water and a private sundeck with river views. 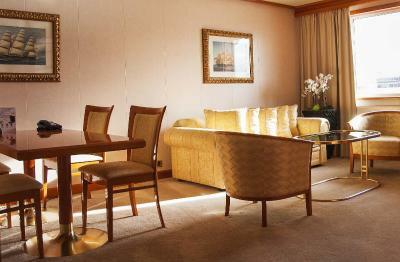 This suite features a king size bed with sofa bed. It also includes a TV with Freeview channels, air conditioning and a Lavazza coffee machine. The private bathroom has a hairdryer and Molton Brown toiletries. This king room features a king size bed and includes a TV with Freeview channels, air conditioning and a Lavazza coffee machine. The en suite shower room has a hairdryer and Molton Brown toiletries. 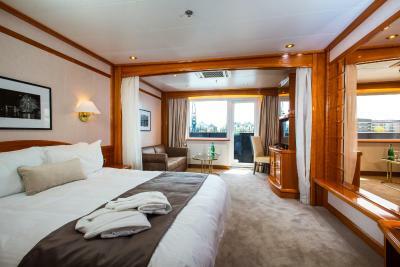 Extras with booking this room includes a complimentary mini-bar, complimentary still and sparkling water and a private sundeck. This executive room features a king bed with a balcony. It also includes a TV with Freeview channels, air conditioning and a Lavazza coffee machine. 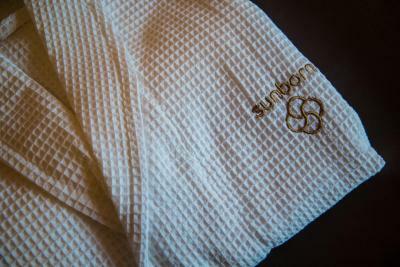 Extras with this room type include bathrobes, slipper and two complimentary still and sparkling water. 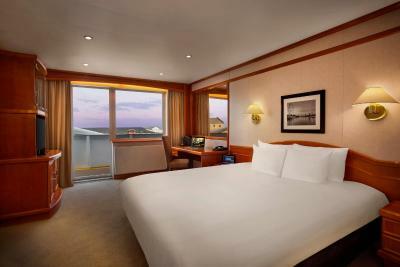 This double room features a king size bed with dockviews. 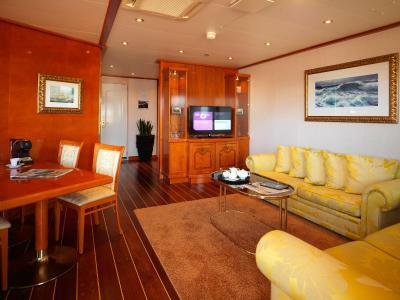 It also includes a TV with Freeview channels, air conditioning and a Lavazza coffee machine. The en suite shower room has a hairdryer and Molton Brown toiletries. 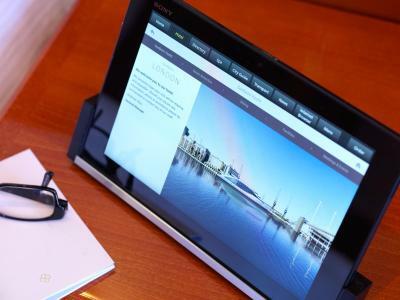 House Rules Sunborn London Yacht Hotel takes special requests – add in the next step! One additional older child or adult is charged GBP 50 per person per night in an extra bed. 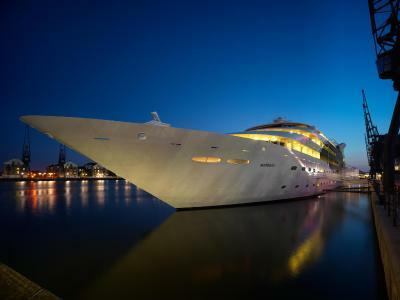 Sunborn London Yacht Hotel accepts these cards and reserves the right to temporarily hold an amount prior to arrival. Please note that the extra child or adult can stay in a sofa bed. Due to the spa's popularity guests are more than welcome to book the facilities but are required to do this at least 7 days prior to their arrival. Please note the same card used for booking needs to be presented at check-in. An incidentals charge applies upon arrival. 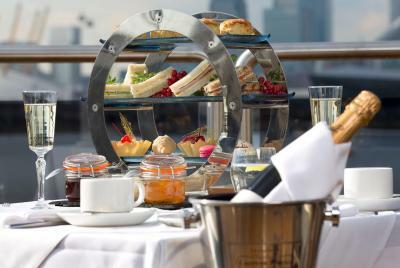 A charge of GBP 40 per day is required if guests pay via credit or debit card, or GBP 100 per day if guests pay with cash. In the flight path of airplanes but you can’t really hear them at night as the rooms are quite soundproofed. 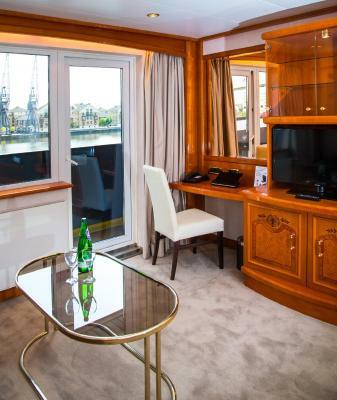 Lovely clean room, great location with river views and balcony in the sun. Train 5 mins walk away. Very clear and beautiful. The bed was so comfortable. Can’t wait to stay there again. Loved it! Bar could be more busy, maybe music ? 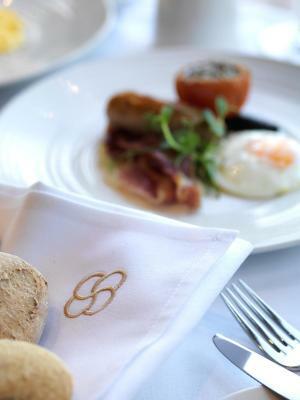 Breakfast was good, the hotel was lovely and the location was really good. Could not get into the restaurant but there were plenty of option in the vicinity. Didn’t realise it was on the flight path to London city airport! From entrance to exit, Dinner to breakfast and most importantly I did not missed my bed and that a 100% for that is what I look forward to on any hotel stay. Love it! Great place to chill and relax scenery is lovely. If I had to pick something it would be that it’s slightly out of the centre BUT I knew that when I booked so not really a complaint. There are tube stops within a 3-5 min walking distance though so still relatively easy to get around. Room was outstanding very spacious. Large room with seating area and big comfortable bed. Great accommodation we thoroughly enjoyed our stay. 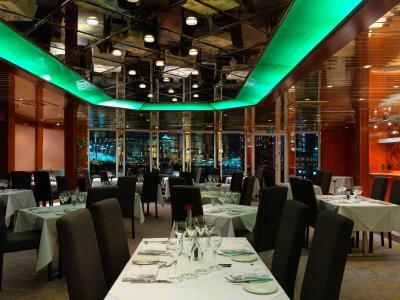 We also tried the restaurant which had great service and food. Breakfast incredibly poor value for money. £14 for some cereal and a stale pastry. The room was very clean and smelt nice.